More than two-thirds of the world's land area and more than half the world's population have no direct access to paved roads. As you move farther away from infrastructure, cost, time and the safety of transport becomes more of a challenge. 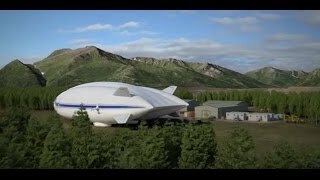 The Hybrid Airship enables affordable and safe delivery of heavy cargo and personnel to virtually anywhere – water or land – with little to no infrastructure.